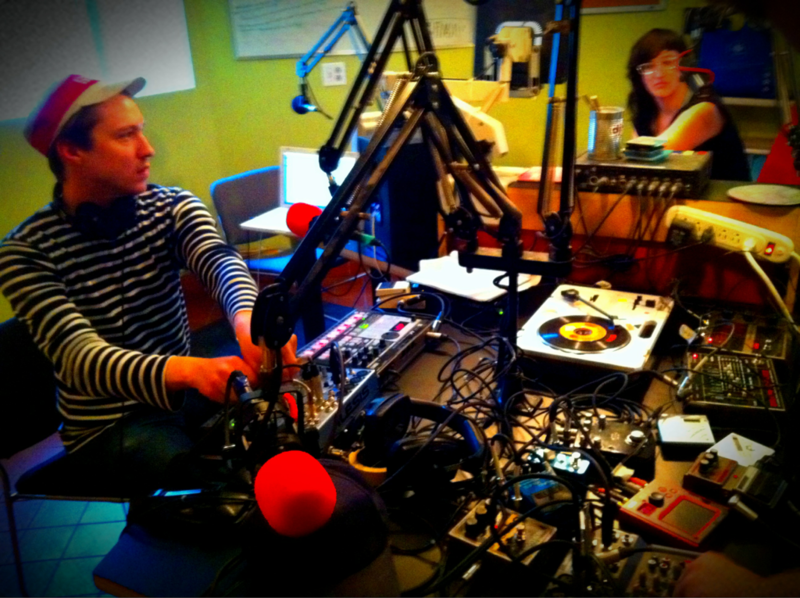 Today hosts Cyan and Dan continued their month long, Mutek themed takeover of The Montreal Sessions with a live in studio set by Le Boeuf et La Violette, and an interview with Basic Soul Unit, both of whom will be performing at this year’s Mutek Festival. Take a listen to the show archive available for for streaming/download here, and while you’re at it, check out last week’s episode too, featuring an interview with UK based producer and DJ A Guy Called Gerald who will also be performing at this year’s fest. See the complete festival schedule for details. This entry was posted in Uncategorized and tagged The Montreal Sessions on May 22, 2012 by admin. 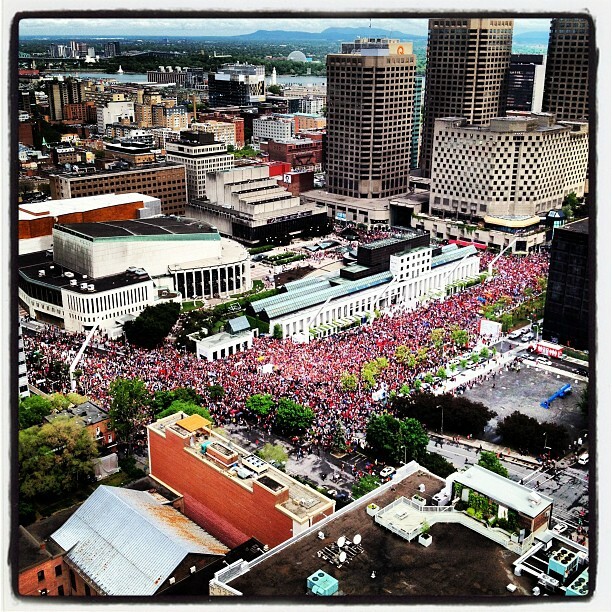 Amazing photo, amazing actions here in Montreal. Tune into CKUT’s news program Off The Hour every weekday from 5-6pm to get some balance in your news diet. This entry was posted in CKUT programming on May 22, 2012 by admin. 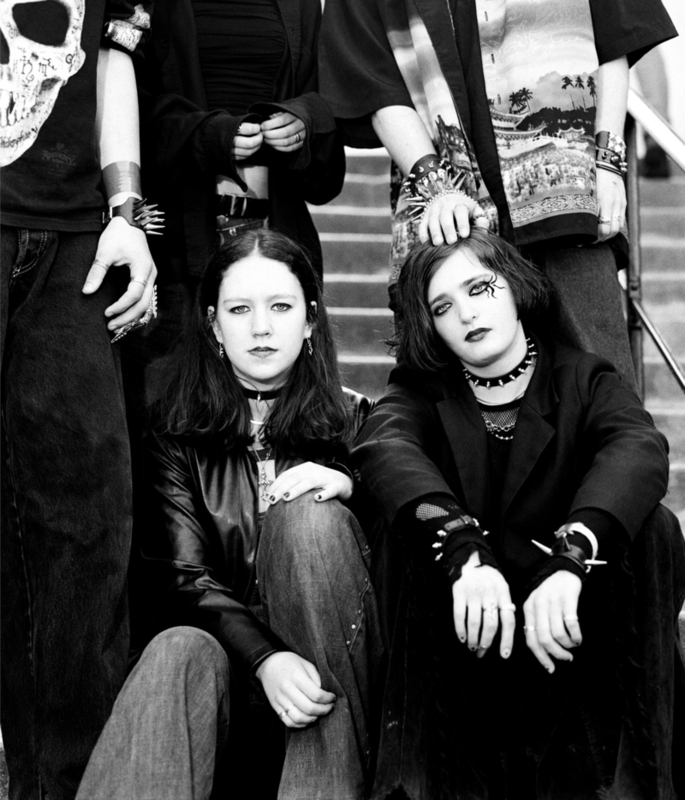 So uh…apparently it’s International Goth Day. I don’t know much about goth culture, but last time I checked, “going goth” meant developing a stern commitment to the art of frowning, maintaining a constant supply of lipstick in shades called “widow” and “demonatrix”, and manifesting a sickly pallor indicative of a deep and unshakable aversion to sunlight and happiness. But when I found out there was an actual day devoted to the subculture /lifestyle celebrated annually worldwide, it got me thinking, “maybe there’s more to this whole goth thing than owning bats and skulking around in hearse-chic attire in an attempt to frighten the elderly”. Then I saw THIS. And THIS. All jokes aside, (pretty sure laughter violates the goth code, maniacal cackling a la Mad Daddy Meyers barring), goth music has enjoyed a rich and dynamic history, and seems to be experiencing an interesting upsurge as of late with the advent of neo-subgenres like witch house and dark circus/ clown-core. That being said, may Evanescence never make another record ever again. “Happy” Goth Day. This entry was posted in Department Babble on May 22, 2012 by admin. 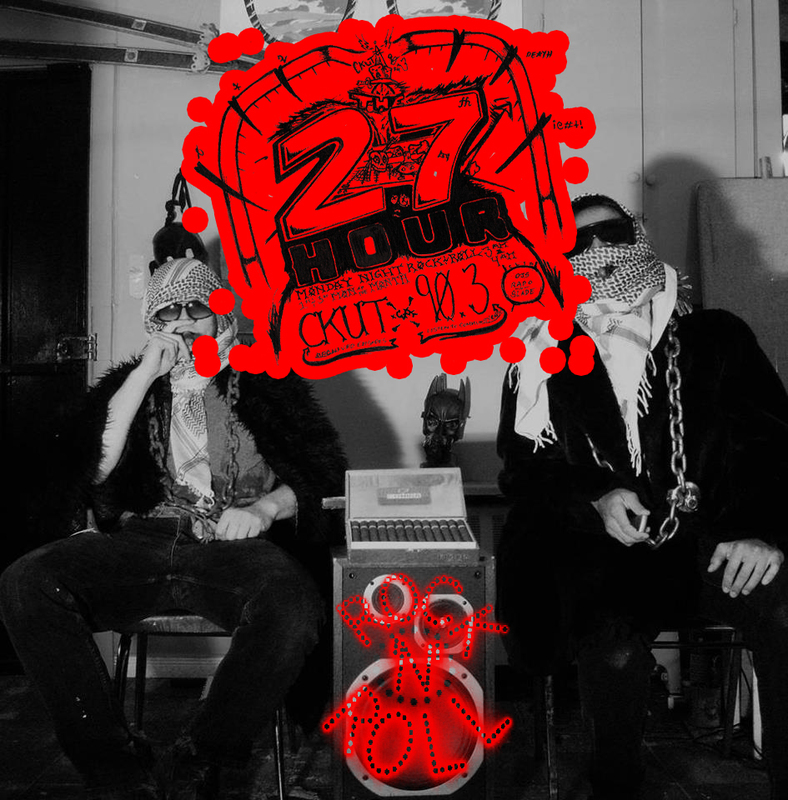 Check out this Q&A with another one of CKUT’s stellar overnight programs, The 27th hour, a fuzzy, scuzzy, rock ‘n’ roll free for all that airs every Wednesday night/Thursday morning from 2-4am. Wanna relive the rock? Check out the last three months’ episodes pickling in our archives. 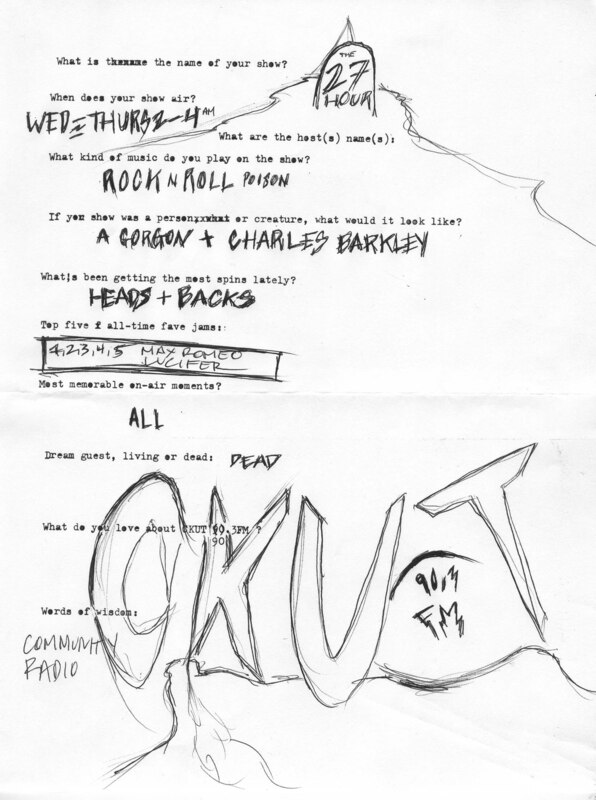 Interested in becoming a CKUT music programmer? We’ve got two available spots on the grid that YOU could help fill with good music. Click here to find out more! This entry was posted in CKUT programming and tagged interview on May 22, 2012 by admin.